Meet Adrian Arrieta, the 23-year-old artist who took our social media-powered Artexpo New York Poster Challenge by storm in his quest to garner the most votes in the 2016 contest. Earning the top honor with his painting The Princess of the Strawberry Mouth, Arrieta looks back with us at his journey and the sacrifices he’s made to get to this point—a point we are confident signals just the beginning of an exciting art career ahead. Upon arriving in Miami, he finally set about to put his creative ideas to work—but he quickly became bogged down by the pressures of making a living while pursuing his education. 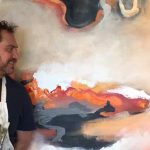 Working 48 hours a week to help his family pay for their basic needs while attending classes Monday through Friday, Arrieta felt his dream of painting was fading. “But I never give up,” asserts Arrieta, “To be able to paint is my only dream and I will do anything in order to achieve it.” When he was researching painting contests in the United States one day this past January, he came upon the call for entries to the 2016 Artexpo New York Poster Challenge. Never one to turn down an opportunity, no matter how daunting, Arrieta submitted The Princess of the Strawberry Mouth to the contest, hoping against hope that his artwork would end up being the one that tens of thousands of show attendees would see splashed across the Artexpo show poster come spring. 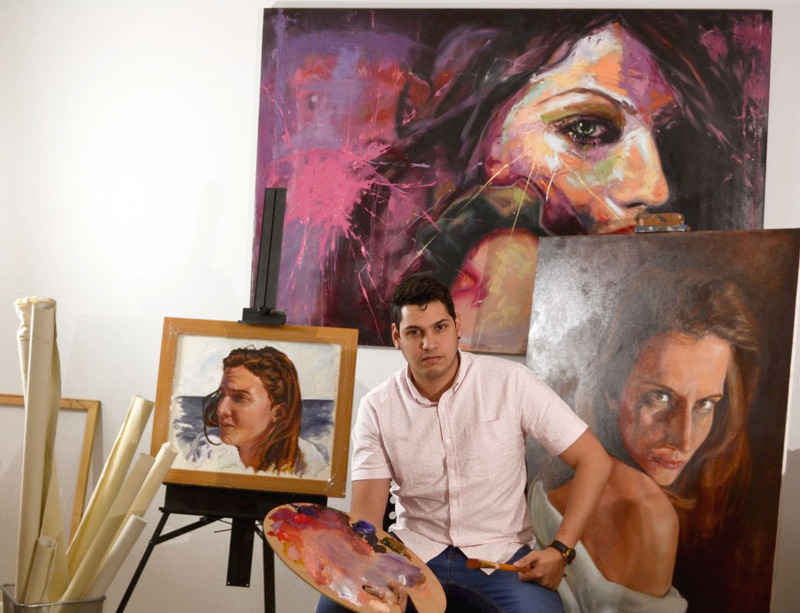 Much to Arrieta’s surprise, his painting was chosen from over 550 original entries as a top 10 finalist by the selection jury just two weeks later. “I barely slept for a week when I received the notice that I was one of the 10 finalists,” he confesses, “and I could not stop thanking my friends and family for supporting me on social media.” Amassing the largest number of votes on Facebook during the one-week public voting period, Arrieta was named the winner of the 2016 contest, scoring a host of exposure opportunities that totaled a value of $20,000, including the chance to exhibit his work at Artexpo New York. 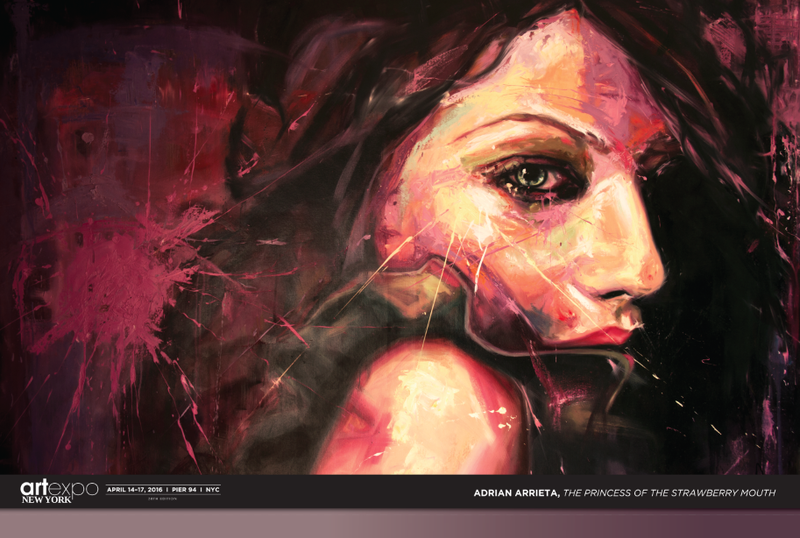 View Adrian Arrieta’s winning artwork, The Princess of the Strawberry Mouth, at Booth S704 in the [SOLO] Pavilion.